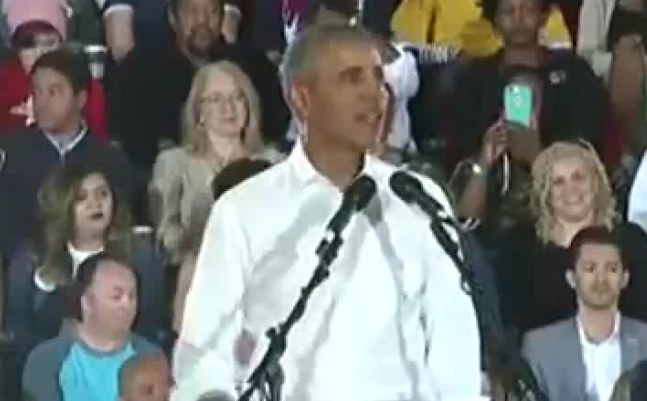 Former President Barack Obama encouraged people to vote at a rally in Las Vegas Monday. Obama highlighted Jacky Rosen, Steve Sisolak and other Democratic candidates around Nevada. Obama's speech Monday touched upon many topics, including economic growth, tax cuts, freedom of the press and access to affordable health care. Joining Obama to perform at the rally were special guests J Balvin, Salt-N-Pepa featuring DJ Spinderella, and DJ D-Miles. Officials said there were 2,000 people at the rally held at Cox Pavilion. Early voting in Nevada ends Friday, Nov. 2. The Nevada GOP released a statement regarding Obama's visit.